Last year American made some significant improvements to their lounges for international premium passengers. Specifically, they’ve refreshed four of their Flagship Lounges, starting with the New York Flagship Lounge last May, the Chicago Flagship Lounge last September, the Miami Flagship Lounge last November, and the Los Angeles Flagship Lounge last December. Overall these lounges are excellent, and a huge improvement compared to the old Flagship Lounges. That doesn’t even account for the expanded access (they’re now open to oneworld business class and oneworld Sapphire passengers). More good lounges for more people is most definitely a good thing. When American’s Flagship Lounge JFK first opened I expressed crowding concerns, as the lounge was consistently filled to the brim in the afternoons and evenings. The lounge isn’t that big, and there are lots of premium passengers flying through the airport. I would guess that JFK probably has among the highest percentage of passengers eligible for Flagship Lounge access, given how many international and premium transcon flights they have. So there’s some good news on that front. 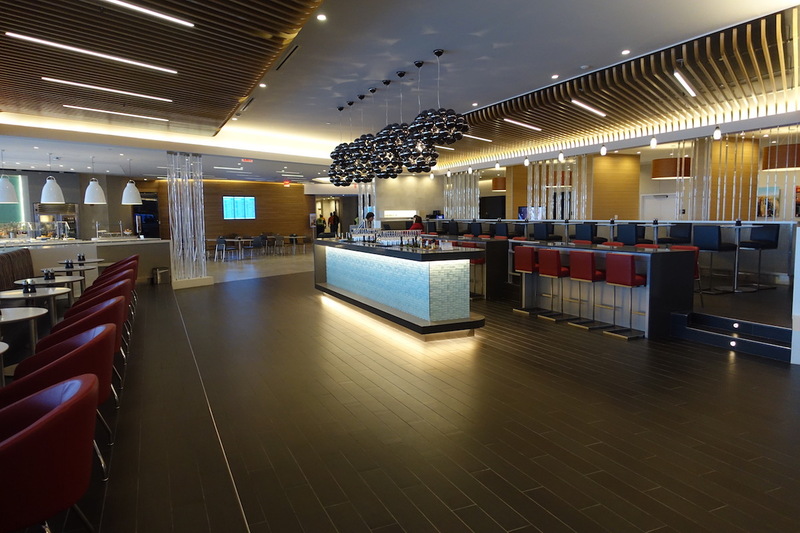 As of September 1, 2018, American is expanding the Flagship Lounge New York JFK. Specifically, the adjacent Admirals Club in Concourse B will become part of the Flagship Lounge. With this addition, the Flagship Lounge will gain approximately 7,000 square feet, and about 117 seats, which is great news. What does this means for those with Admirals Club access, though? As of September, American will go from having two Admirals Clubs to having one Admirals Club at JFK. The Concourse C Admirals Club will continue to be open, and that lounge has 255 seats. I suspect that’s probably sufficient for the number of Admirals Club members they have traveling through the airport. Maybe the biggest downside here for those with Admirals Club access is that the Concourse C Admirals Club is quite out of the way if your flight departs from Concourse B, since you’ll have to walk underground to the other concourse and then return again. Selfishly I’m also worried that this will greatly increase crowding in the Flagship Bridge, which is the best kept secret in the Flagship Lounge. It’s actually technically located in the Admirals Club, so almost no one stumbles upon this by mistake. With the Admirals Club becoming part of the Flagship Lounge, I imagine a lot more people will discover this. 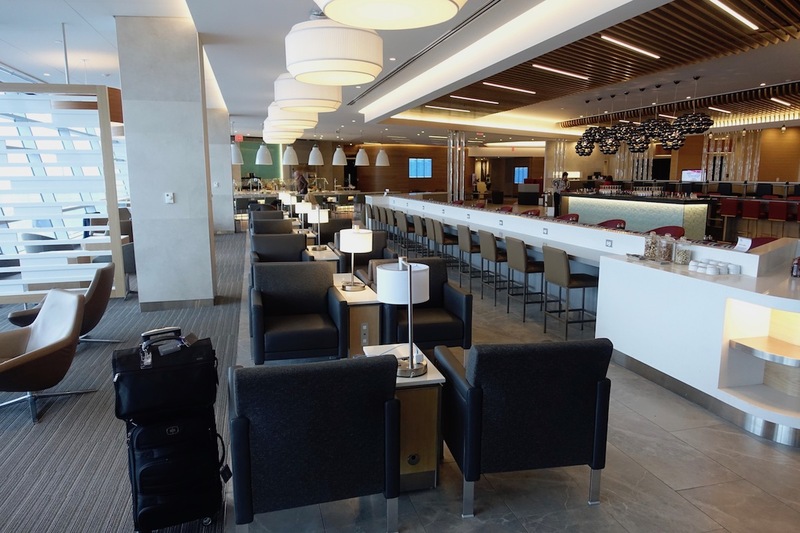 What do you make of American’s decision to convert a JFK Admirals Club into part of the Flagship Lounge?